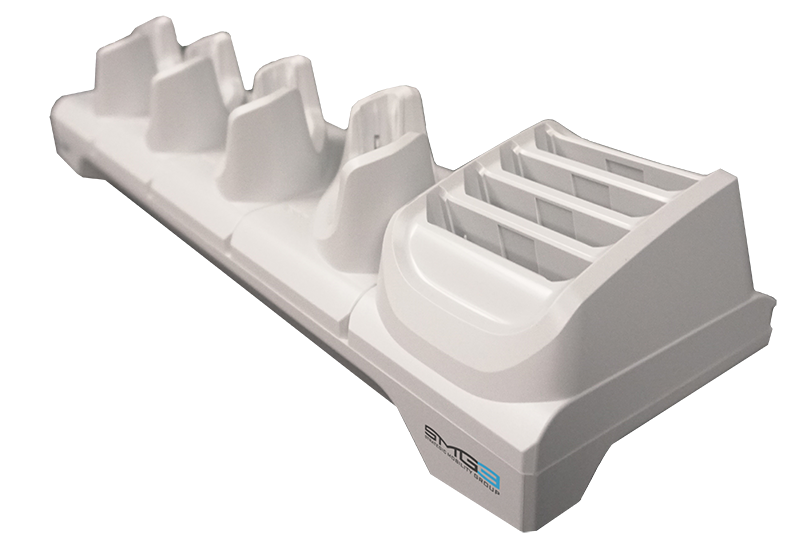 The Healthcare 5-Slot Charger Only Cradle w/ Spare Battery Charger is perfect for the Healthcare Environment, with its White form factor. 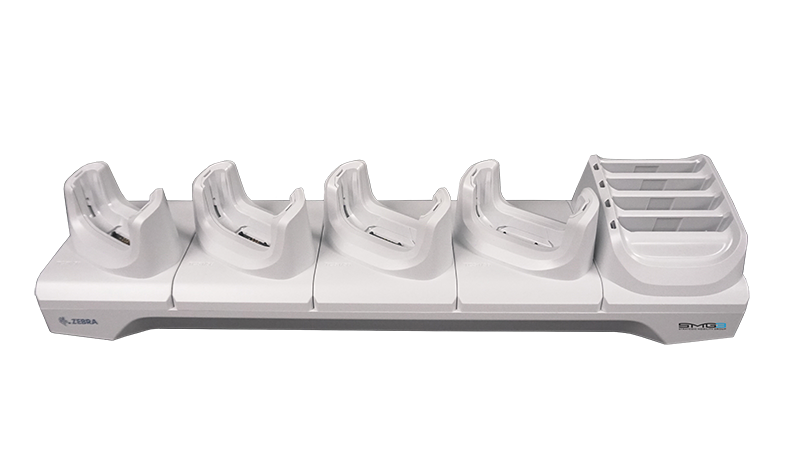 Improve your healthcare facility with the addition of this exclusive Zebra Healthcare cradle. Never worry about low batteries with the 4-Slot additional battery charger.